There are plenty of after sun products to buy in summer but I never found one that does the job for me: Soft skin, nice smell and not sticky is hard to find. In a previous post I reviewed Creme de Corps by Kiehls which is amazing but a little too expensive for everyday use. Luckily I was given this amazing bodylotion by a friend: Treaclemoon One Ginger Morning has a nice ginger scent (obviously) and leaves your skin soft and nourished all day. I like applying this after my morning shower or after a day on the beach cause it makes me feel refreshed and awake. What is your favourites bodylotion or after sun? Has anyone tried the other Treaclemoon products? What fragrance is the best one? We went into town today, sat in the sun and looked at some shops. I got a new bracelet from H&M. I just love gold combined with neon colours! Yet another thing I love about Norway is how much attention they pay to details here. Every café has its own style and special decoration. Today we had brunch at Ostehuset. Not only do they serve amazing fresh food, but you can buy lots of different home decor things. This summer I really love bright pink and coral shades on my lips. My latest discovery is the Soft Sensation Colour & Care Lipstick by Astor. I wear it in 403 – Attractive Coral. It is super moisturizing and highly pigmented. The best thing about it is the SPF 20 that protects the lips from sun damage. The colour is really intense, so if you want just a hint of colour, you can lightly dab it onto your lips or dab away with a tissue after applying. Yesterday we went on a little road trip to a waterfall in Frafjord. Since it started raining on our way, we stopped at a traditional Norwegian café to coffee and waffles. I bought these delicious and very old-fashioned looking sweets. I ate them all after taking the pictures – very tasty! Tonight we had smoked salmon on thin crispy bread. Seasoned it with some black lava salt from Iceland and creme fraiche. Delicious! This month’s issue of the Norwegian magazine “Henne” came with some goodies. Two nail polishes in these lovely colours. Perfect for summer I think. The weather in Norway is still amazing. It was hot and sunny all week and it’s the first time ever that I actually LIVE nearby a beach. But of course you can’t be sun-tanning and swimming 24/7. Today we went into town and walked along the harbour, looked at all the delicacies at the food festival and had a smoothie at Joe and the Juice. Have you checked it out yet? They make the most delicious juices. It’s healthy and fresh as well. Before heading into town for Gladmat, Scandinavia’s biggest food festival, I wanted to show you this beautiful red dress that I ordered from Asos some weeks ago. While originally looking for an outfit to wear at a wedding, I stumbled onto this. Nothing you could wear at a wedding I guess, but just couldn’t help it. I think it’s just lovely to wear bright colours in summer and I love the frill around the waist. Having combined it with very high heels today, I think you could also wear it in a more relaxed way with sandals or ballet flats. When summer comes around you don’t want to spend too much time on getting ready and doing your make-up. You just want to get out to enjoy the sun – and of course still look your best! I found some products that are just perfect for this season. I have been a Kiehls fan for quite a while now and these are my latest discoveries. The BB cream has just the right amount of coverage to let your skin tone shine through and still hide imperfections. I don’t like wearing heavy foundations in summer cause when you tan, your skin tone changes and you still want a good colour match for every day. The Creme de Corps is perfect after sun bathing. It leaves your skin hydrated and soft and has a lovely scent. Again two amazing products for beach days. I love the hair oil because it prevents my hair from splitting. You need that little bit of extra care when your hair is exposed to salt water and sun all the time. You only need 3 pumps and work it into your wet hair. The gel like polish by Guerlain is a top coat that makes your nails a little stronger without looking to thick. You can wear it alone or as a top coat over your regular nail polish and gives your nails a shiny look. Goodbye brittle nails! High Beam by Benefit is an amazing highlighter that reflects sunlight and adds a bit of a glow to your tanned skin. 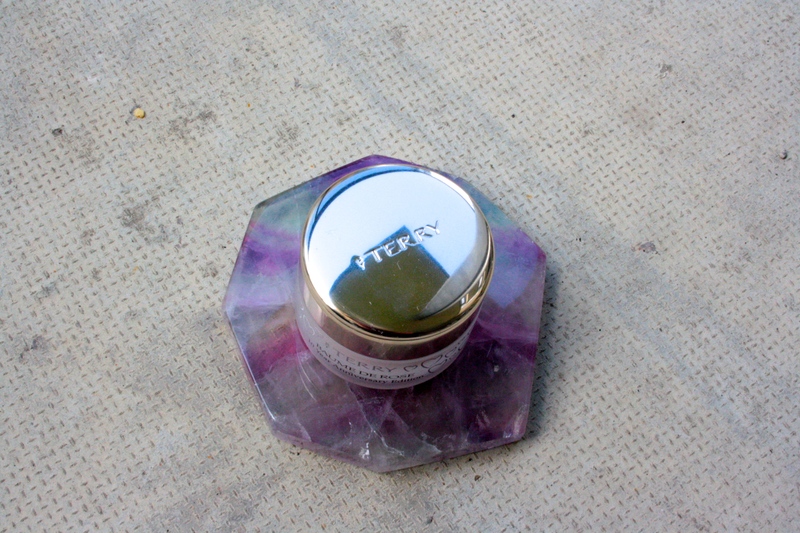 Lightly dab it onto your cheek bones and below the eyebrows for a shiny finish. As I said before, heavy make-up is nothing for hot summer days. Maybelline Baby Lips is a lip balm with a hint of colour. I wear it in Cherry Me. What are your summer favourites? Around this time of year the sun never completely sets in Norway. You can sit outside for hours and hours in the evening and the sky doesn’t change. And when the sun sets eventually, you can still see a purple line across the horizon. In this light season I like wearing matching light colours. This summer it’s a lot of light pink and white, like my new bag and shoes from Dune. This shoe brand based in London finally made it to Germany and is available at Karstadt. They have beautiful details on all their items, which I absolutely love. Both the shoes and the purse are multi-coloured with gold. What you see is what you get – a three in one bag with one zipper on top and then one for each pocket on the inside. Before I moved from Germany to Norway I had a big farewell party at my place. My four suitcases were packed and it was less than 48 hours until my flight. A couple of days before that people had asked me what presents they could possibly give to a person with overweight luggage and who had just tried to get rid of as many possessions as possible. Maybe no presents at all I would say? But my friends are persisent. Something light and useful was on their mind. And once I actually started thinking about it – useful and light? – it didn’t take me long to figure it out. My all time make-up favourites were almost used up and so I made a wish. You can see my best friends from Mac in the photo below. 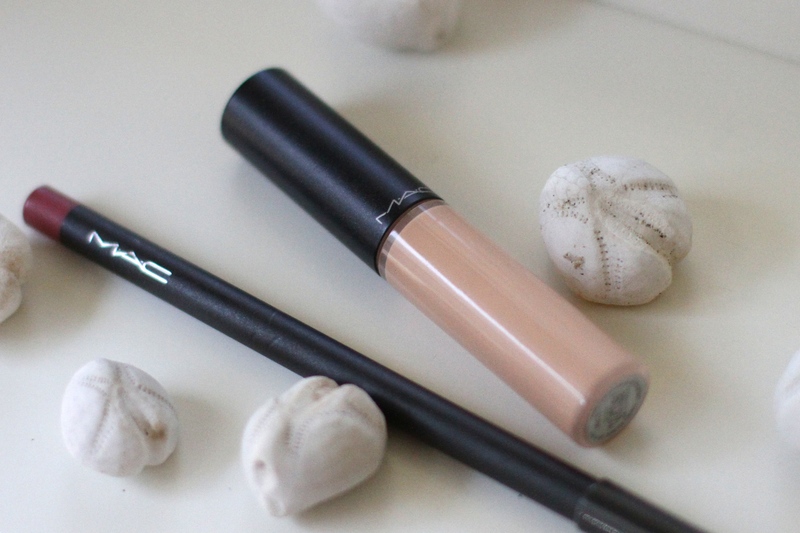 It’s the Select Moisture Cover Concealer (I’m an NW 15) and the Lip pencil in Soar. Both products last for ages and are always in my purse. After I had spent years trying to find the perfect concealer, I stumbled upon the Select Moisturecover. It’s invisible, lightweight but still offers enough coverage to hide dark under eye circles and skin imperfections. The trick is to layer it (thin layers!) until you achieve the perfect result. The lip pencil in Soar has a perfect colour for anybody. I naturally have very red lips and it almost looks like my actual lip colour when I wear it. If your lips are on the lighter side, you can simply use less pressure to get a perfect result. The colour is just so natural that it will suit any skin tone. I have to tell you that my friends got me more than just this in the end. They actually gave me framed photos, scrapbooks, video messages and long letters. My already overweight luggage was so heavy that I could hardly drag it along from the car to the check-in counter. But at least I have the full package now: Useful light things and lovely memories. Amazing friends, huh? Yesterday I had the most delicious dinner. Bacalao means cod in Spanish, but is also the name of a dish brought over by the Spanish and Portuguese many years ago to Norway. It is quite common to find this rich, spicy mediterranean dish in Arctic Norway, where you find the best dried cod in the world. It was only recently that I had it for the first time and I absolutely love it. 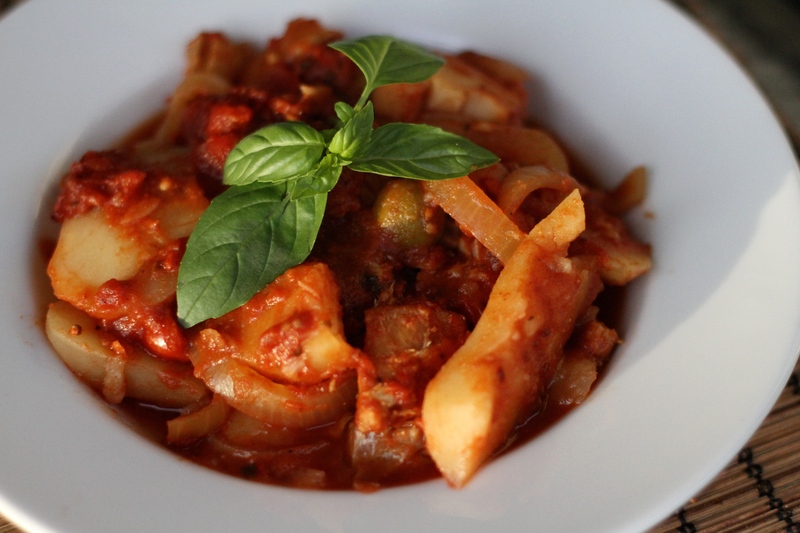 It’s a tomato based fish stew made with dried cod. The dried cod (klipp fisk) should be cut into large chunks and placed in a large bowl of fresh water for 24 hours prior to cooking, changing the water a few times during this process. 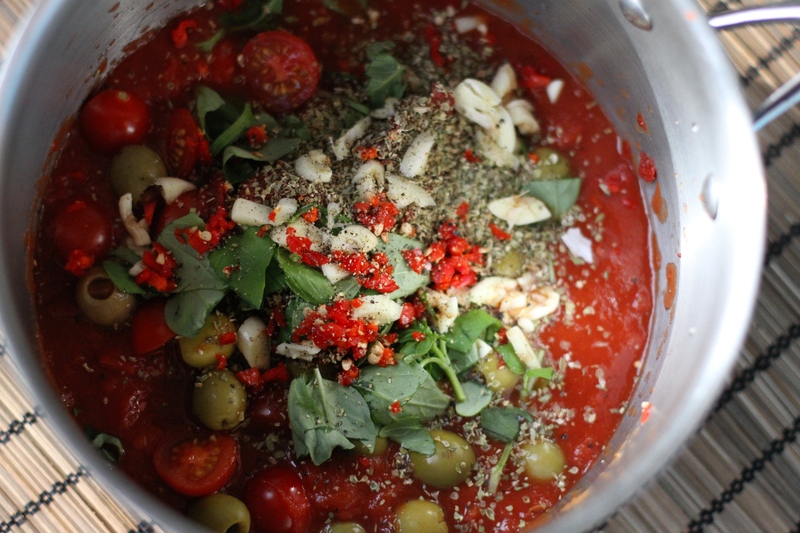 Mix together the garlic, chery tomatoes, canned tomatoes, chilli, oregano, basil, parsley, olives, tomato puree in a large, heavy based pan. Add half a cup of water and bring to the boil and simmer for 15 minutes. Season with pepper only (as the fish will bring plenty salt). Reduce to a low heat and then layer on the fish, onions (1 cm thick slices) and potatoes (1 cm thick slices). These should be sitting in 3 layers on top of the tomato base. Let it simmer in the covered pan for about an hour, giving the pan a gentle shake every now and then to prevent sticking and allow the dish to be kept in layers. The dish is ready when the potatoes are soft. You can top the dish with some basil leaves and serve on a soup plate. I had no idea how hot it can be during summer in Norway before I moved here some days ago. I wasn’t going to wear my new bikini from Calzedonia until my Spain vacation next month but now I got to hang out on beautiful sandy beaches this weekend already. I love the beautiful blue colour of the crochet layer on top of the white inside that shows through on the bikini. After a day on the beach wearing it I can tell you that it’s comfortable to wear and you don’t have to move the straps or bottom back into place all the time. Also the fabric doesn’t lose its shape after a swim. I think it was a very good last buy I did in Germany before coming here. Well, in fact it’s not the only piece I bought at Calzedonia that day. I couldn’t resist getting a beautiful coral coloured bikini too which I am going to show you when I’m in Spain in a few weeks. 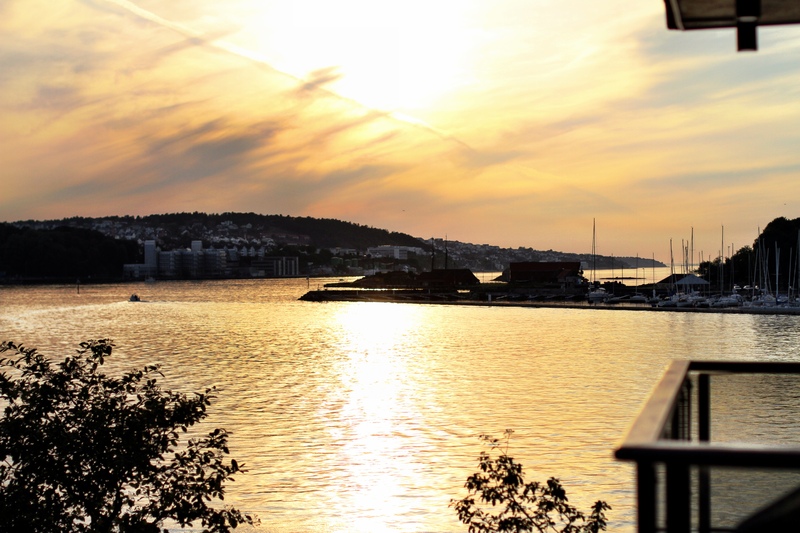 The best thing about the Norwegian summer is that the days are so long. After being on the beach morning to evening, it is still so light outside that no one feels like heading back home. A common thing to do here are barbecues, be it in public places or at home. We chose home tonight and tried out a new recipe. Who says Barbecues have to be nothing more than fatty meat? Especially when you live right by the sea and can have fresh fish at all times. 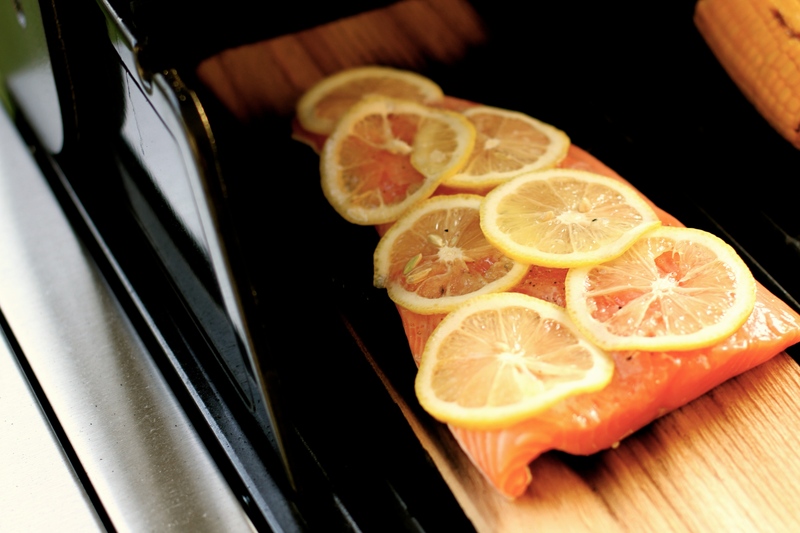 We grilled a big piece of salmon filet on a flat piece of cedar wood. It gives the fish the best taste you can imagine without adding any butter or oil. Put the salmon on a big piece of cedar wood that has been soaked in salted water for at least an hour. Cut the lemon into slices and place them on the salmon so that the whole fish is covered. Add salt and pepper. Put the fish and the cedar wood on the barbecue and grill it for about 15 minutes. 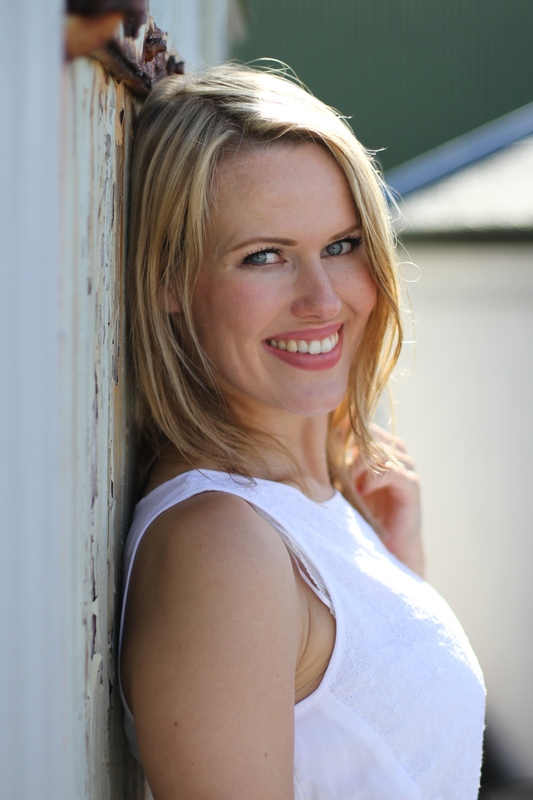 Baume de Rose – The Must-have lip balm? So I heard a lot about Baume de Rose by the French cosmetic brand by Terry. At a price of around 40 Euros it is quite expensive for a simple lip balm. But this is the whole point – other reviewers and the brand itself claim that it is not your regular lip care product. After trying it at Schnitzler, a store in Düsseldorf, Germany, I was convinced. 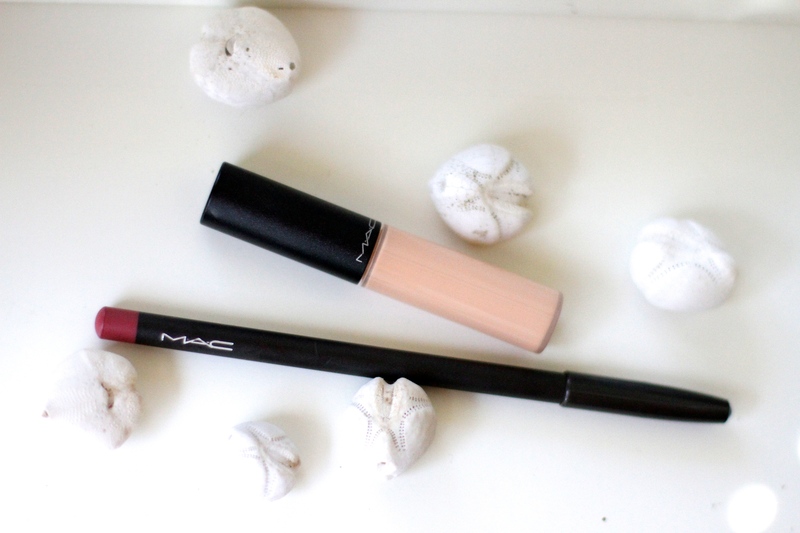 It goes on easily and gives you the softest lips ever! A little goes a long way. Looking milky pink in the glass, it is almost transparent on the lips and shiny but not sparkly. While I was applying lip products about every two hours in the past, I have to use Baume de Rose only twice a day to keep my lips smooth and soft. I do more often though cause I just love the rose scent and the subtle shine on my lips. Have you tried by Terry’s Baume de Rose yet? What are your thoughts? 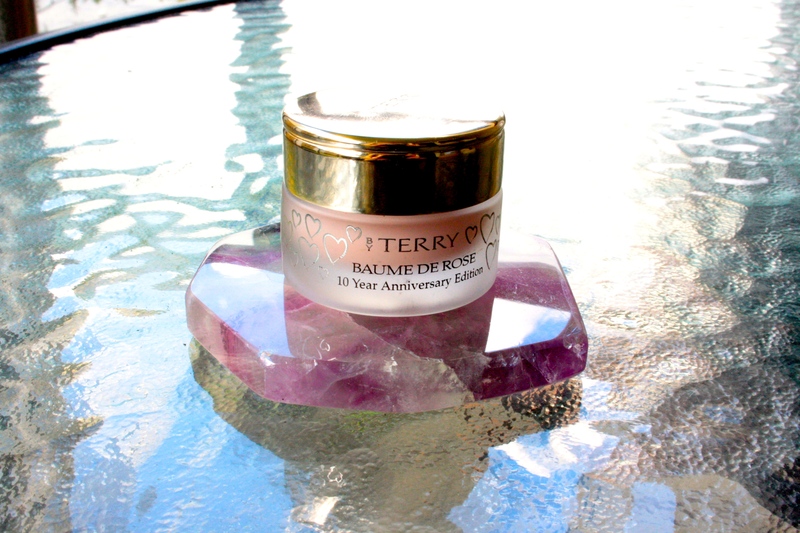 Baume de Rose by Terry comes in a small glass with a silver top. The 10 year anniversary Edition with little hearts. I love the design. After being in Norway and having beautiful weather for four days now, I thought it might be a good idea to start my first blog. For the first time I was was wearing my new summer dress from H&M yesterday and took a stroll along a small harbour. I love the flower details on the fabric and the seethrough back.